We gain energy from nuclear fission when the nucleus of an atom is divided into smaller parts. This process, which creates protons and neutrons, releases a large amount of energy that can be captured and used in a variety of ways. It was first discovered in 1938 and the power of nuclear fission was first harnessed into a power plant in Obninsk, Russia, on June 26, 1954. The first power plants were able to produce about 5 megawatts of energy that was converted into electricity for commercial use. Today, the largest nuclear power plant in the world is the Kashiwazaki-Kariwa plant, owned by Tokyo Electric Power Company, in Japan. It offers a gross installed capacity of over 8,200 megawatts. 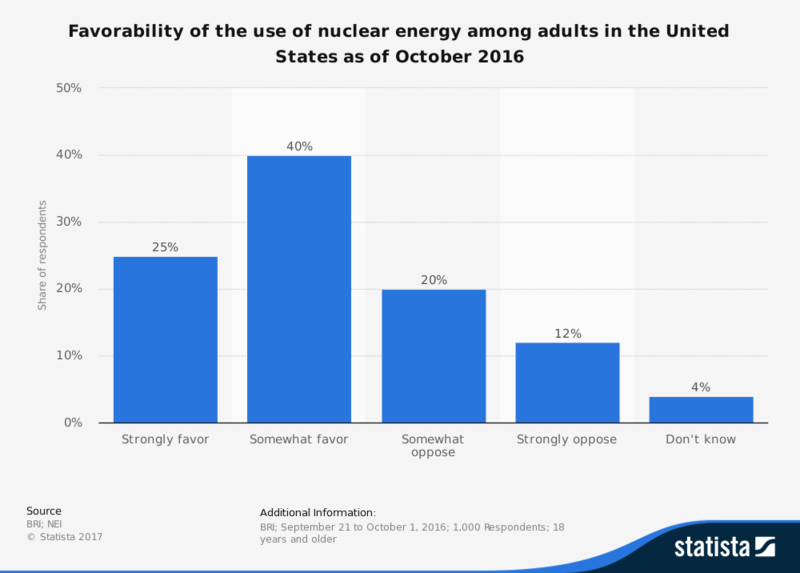 Here are the top advantages and disadvantages of nuclear fission that must be considered when looking at this energy option. 1. Nuclear fission is an effective form of energy creation. The World Nuclear Association provides about 11% of the world’s electricity needs every year. 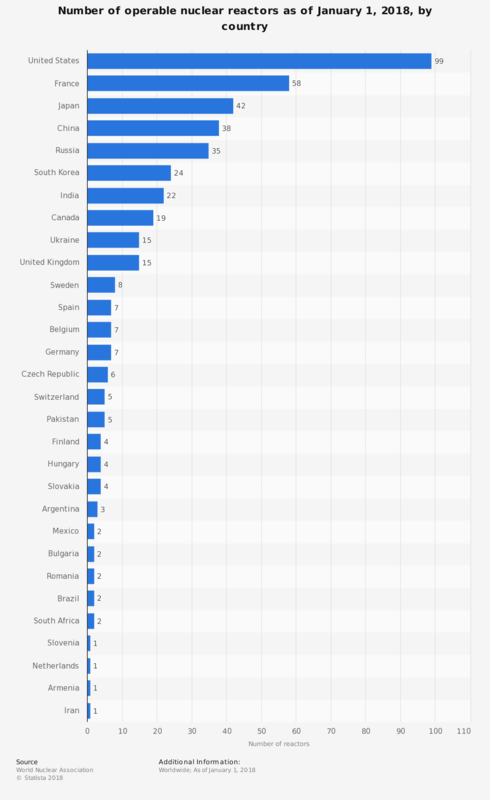 It is an available energy resource in more than 30 countries and the number continues to grow. Although the cost estimates for a new nuclear power plant may be more than $9 billion, it is still competitive with other newly installed energy costs. 2. It creates energy without an emissions trade-off. Of course, nuclear fission creates nuclear waste products that must be disposed of properly. When the process of energy creation and consumption takes place, however, there are no emissions released. The threat of carbon dioxide, carbon monoxide, and nitrates that come from fossil fuels are not a threat when nuclear energy is being created. 3. Nuclear fission is an extended process. Unlike combustion or renewable energy resources, nuclear fission continues to generate energy for an extended time period. When the reaction is properly controlled, it can provide energy that may be collected for up to 3 years. As a power resource, nuclear fission is greater than 8,000 times more efficient than forms of energy that require combustion. It also removes the particulates that combustion items create from the conversation. 4. It offers new fuel resources that we can use in the future. One of the biggest struggles that many have had with nuclear fission is its waste byproducts. The World Nuclear Association reports that up to 97% of the waste products generated by a nuclear facility are classified as either low-level or intermediate-level wastes. Of the remaining 3% of wastes that are generated by a nuclear facility, just 0.2% of them are radioactive by volume. Then, of that radioactive waste, a majority of it may be able to be recycled into a new fuel resource for future nuclear fission reactions. 5. Nuclear waste storage and shipment is a safe and proven process. From the total amount of hazardous waste that is shipped from the United States each year, just 5% of it is classified as being radioactive waste. Out of that figure, just 10% of the radioactive waste comes from the process of nuclear fission. More than 25,000 shipments of high-level hazardous waste have been shipped worldwide since the beginning of the nuclear era and the number of significant accidents involving a Type-B cask can be counted on one hand. 6. The operational costs of nuclear fission are manageable. The power production costs of nuclear fission are comparable to any other power resource today, with the exception of certain coal products. When compared to wind or solar energy, nuclear energy is often cheaper. Although the capital expenditures of a new nuclear facility can be quite high, the ongoing management costs help to offset the initial investment. Even when compared to natural gas, nuclear fission is a full penny cheaper per kilowatt hour under regular operations. 7. It is a safe form of energy to use. The various nuclear accidents make people leery about nuclear energy, especially because of the risk of radiation exposure. When the nuclear industry is compared to other forms of power generation, however, it has the lowest level of fatality risk. Nuclear fission is 200 times safer than coal energy, 5 times safer than rooftop solar energy, and even 1.5 times safer than wind energy. Forbes reports that if China is included in these figures, the safety rate for nuclear fission, when compared with coal, is 20,000 times safer. 8. Nuclear fission is a highly efficient form of energy production. Nuclear fission is one of the few forms of energy that is able to create a large amount of usable energy from a small fuel investment. About 27 tons of fresh fuel is required every year for a nuclear reactor that is producing 1,000 megawatts of energy. In comparison, a coal-fired plant that is generating power at an equitable level would require 2.5 million tons of fuel. 9. It creates a resource that can be exported profitably. In the United States, nuclear fission is responsible for about 20% of the total electricity that is consumed within the country each year. In 2016, the U.S. exported about 2.6 million megawatt hours to Canada and 6.6 million megawatt hours to Mexico. When nuclear energy is available in abundance, the excess electricity can be sold as a commodity to improve the GDP. Clean Technica reported in 2015 that Germany could potentially make $2 billion with electricity exports. 10. Energy from nuclear fission is scalable. Every community goes through periods of peak demand that require additional energy resources. When that energy is being provided by nuclear fission, the ability to meet these periods of high demand is consistent. Whether the process is contained within an engine of a ship, an underground cave, or a formalized facility, we can add reactors to facilities, increase power output from existing facilities, and combine other resources with nuclear with its overall compatibility. 1. It will succumb to the laws of entropy one day. Nuclear fission was designed to provide power through specially designed facilities for about 40 years. These first facilities have already reached their initial lifespan expectations. As time passed, we discovered that, with evolving maintenance and care methods, we could double the expected lifespan of a nuclear power plant. Even with these new best practices in place, we’re going to be forced to look at new energy options around the year 2035 because many of our facilities will have just worn out. 2. Nuclear fission is a dangerous process to manage. There have been four major nuclear meltdown incidents at power plants around the world. The first occurred at the Lucens reactor in Switzerland in 1969. There was also the Three Mile Island accident in Pennsylvania in 1979. This was followed by the Chernobyl disaster in 1986 and the Fukushima Daiichi disaster after the tsunami of 2011. There have also been a total of 10 core meltdowns recorded and eight Soviet submarines have reported radiation incidents or core meltdowns. 3. It creates waste products that are dangerous as well. The energy created through nuclear energy is one of the cleanest options that we have today. This advantage comes at the expense of the toxic wastes that are generated by nuclear facilities. Nuclear facilities create 34,000 cubic meters of high-level waste every year. This waste is radioactive and must be stored in specialized containers or facilities to protect the general public. The amount of time it takes for the radioactivity to decay to safer levels is about 40 years after disposal. 4. Nuclear fission can also create dangerous weapons. The earliest applications of nuclear fission were for weapons. The first nuclear weapons tests occurred 9 years before the first nuclear power facility became operational. Detonated during a test by the United States in July 1945, Trinity held a yield that was equivalent to 20 kilotons of Trinitrotoluene (TNT). Underground tests continued in the United States until 1992. China and France continued underground testing until 1996. The damage from even a small nuclear weapon is massive. Only two nuclear weapons have been used in war, both detonated by the U.S. in Japan, killing more than 240,000 people. 5. It can create long-term health consequences for workers. Nuclear fission does carry with it a risk of radiation exposure. Workers who are in close proximity of nuclear reactors have a higher risk than the general population of developing certain cancers and illnesses. Some of these health issues can take more than 40 years to develop. According to the K-1 Project from Columbia University, Leukemia spikes in children peaked about 6 years after the nuclear attacks on Japan. Other cancers began to appear about 10 years after the attacks. In total, radiation exposure from nuclear fission increases the risk of cancer by up to 5 times for each individual. 6. There are certain security risks associated with nuclear fission. Because of the potential for mass casualties and long-term population damage, facilities that operate nuclear fission reactions are a prime target for those wishing to make violent political statements. Not only would an explosion or meltdown potentially take lives, the aftermath of an event could last for more than a decade. In the Three Mile Island incident, for example, those who lived downwind from the facility were up to 10 times more likely to be diagnosed with Leukemia or lung cancer than those who lived upwind from the incident in a 10-year follow-up. A simulated attack on the Indian Point Reactor in New York predicted more than 44,000 short-term deaths from radiation poisoning and another 500,000 long-term deaths from cancer for individuals living within 50 miles of the facility. 7. Nuclear fission is not a guarantee of energy independence. Although the United States leads the world in terms of overall energy production from nuclear fission, it imports a majority of the fuel that is needed to create it. In 2007, more than 90% of the uranium that went into nuclear reactors in the U.S. was imported. The U.S., in fact, is barely even in the Top 10 countries in the world today with available uranium resources. Even with subsidies in place, nuclear energy has often struggled to remain competitively priced with fossil fuel energy resources as well. 8. It can cause multiple forms of radiation exposure. Total body exposure, external contamination, and internal contamination are all possible events with the presence of nuclear fission. High-energy gamma radiation can penetrate deeply into the body, affecting internal organs. If fission products settle on the skin, then external contamination is possible. Items ingested with radioactive elements and create internal problems. It is this fear which often causes people to advocate for less nuclear energy instead of more. These advantages and disadvantages of nuclear fission should not be confused with nuclear fusion. It is an entirely different process. In 1954, the Chairman of the Atomic Commission promised the American public that nuclear energy would one day be too cheap to meter. That promise may not have been fulfilled, though there are many inherent benefits with the nuclear fission process which allow us to meet our current energy needs quite effectively. At the same time, however, there are certain risk factors which must be managed to keep our families safe.